SUMMARY: Barbara Reaume, Real Estate Professional with Coldwell Banker, specializing in the Montecito and Santa Barbara real estate, announces 121 Carrizo Dr, Santa Barbara CA, 93105, located in the historic San Roque area, listed for sale. Santa Barbara, CA June 29, 2013 — 121 Carrizo Dr, Santa Barbara CA, 93105 is a single family home located in the northwestern area of Santa Barbara known as San Roque. Admired for its diverse architectural themes such as Spanish Colonial, English Tudor, French Normandy, and American Colonial, it’s no surprise that San Roque property is highly sought after. 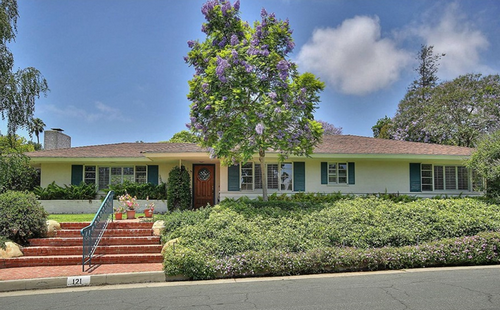 This is a desirable area that is located close to Santa Barbara schools, parks, and restaurants. The property is being listed for sale for $1,295,000. Lovingly cared for over the years, this home is on a 11,761 sq ft lot, has 3 bedrooms and 2 bathrooms, a large living room with a fireplace and a wall of windows to a view of the yard. The dining room and kitchen have clear views to the beautifully landscaped backyard. If you are interested in buying or selling a home in Santa Barbara County, contact Barbara Reaume, Coldwell Banker Real Estate Specialist, at (805) 453-9674. 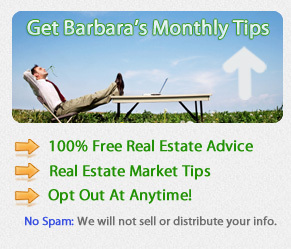 Having a reliable access to Santa Barbara’s Real Estate market is truly useful and practical. People can easily be informed on the available sough-after residential properties located in Santa Barbara CA. Thank you Barbara Reaume for imparting this kind of information to the public! Thanks for this great info. I’m soon to retire and have been looking all over for just the place to live in with my wife and kids. We’ve been looking at homes in Santa Barbara for sale, hoping to find the right house and the best deal… until now. I think this might just be what we’ve been looking for. I love historic neighborhoods and the nostalgic feeling they bring. I’m a photography hobbyist by the way and love walking around taking pictures, especially of buildings and architecture. This home for sale in San Roque is the perfect size for our family, and is convenient especially with the Santa Barbara schools and parks just nearby.